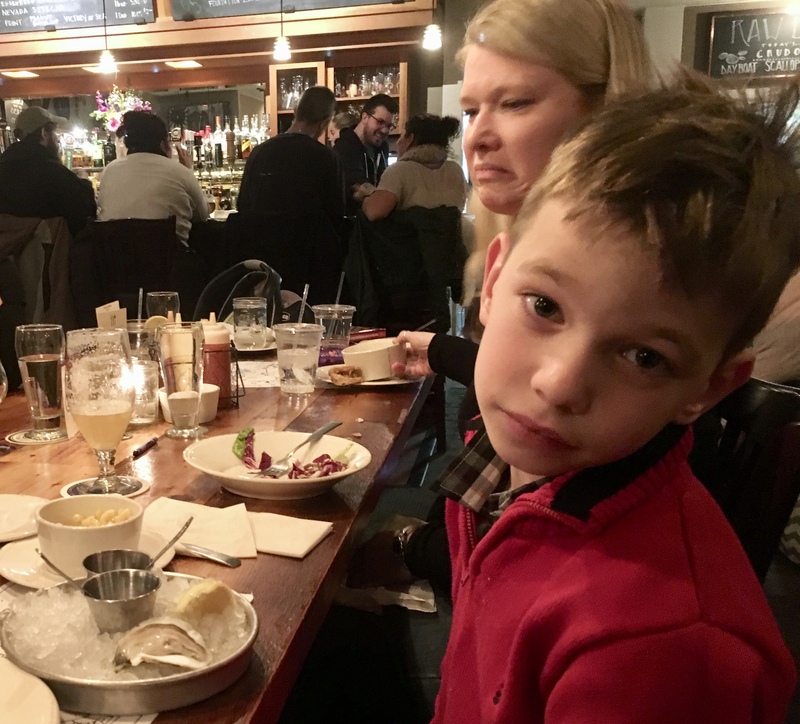 This entry was posted in USA and tagged Burlington Vermont, oysters, Raw bar, supermarket chronicles, The Farmhouse Tap and Grill, Vermont by John Powell. Bookmark the permalink. Cian is definitely a Powell! Uncle Ed would be proud!